It’s happening! Large (successful) corporations are using xAPI AND finding it helpful in driving business decisions. Join us August 27 for a webinar about AT&T’s xAPI use case presented by AT&T’s Larla Bogle and James Merrill, and Rustici Software’s Mike Rustici. AT&T engaged in a proof-of-concept to trial a new approach to compliance and ethics training—difficult things to measure. 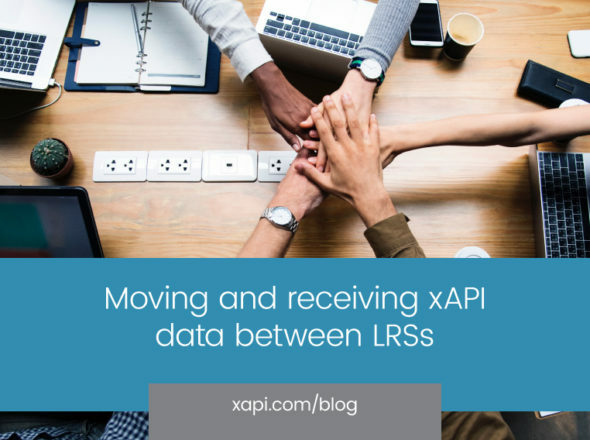 To bridge the analytic gap, AT&T leveraged xAPI and Watershed LRS to examine how learners interact with content. Since all of the survey, learning, and performance data reside in one place, it’s easier to make correlations and see which actions lead to the desired outcomes. To learn more about how they did it and what they learned, join us for a webinar co-hosted by AT&T on August 27 at 1 PM CST. A tale of two LRSs: what exactly is a learning record store?